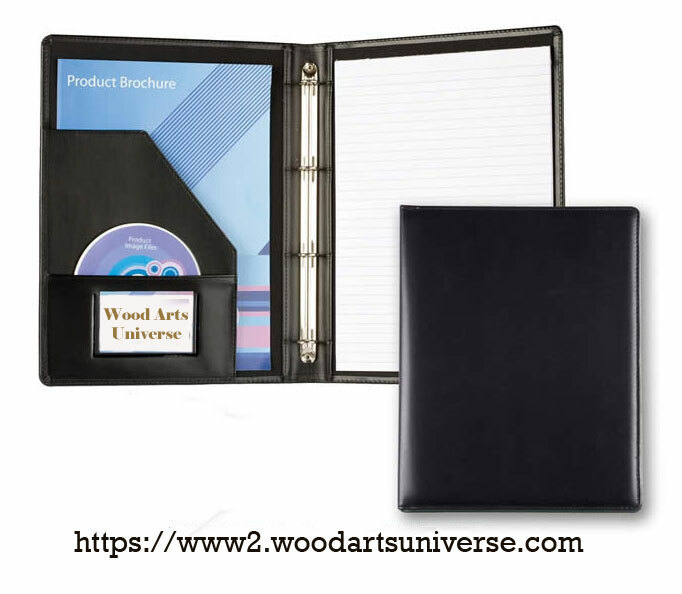 Leather Zippered Ring Binder standard portfolios, with a lightly padded and stitched cover. Multi-pocket organizer helps keep everything in place while not compromising the look and style of the binder. Pen is not included in the pen loop Available in a range of colors in real leather, leather look as well as a range of textured and full color finishes. This item is ideal for corporate meetings, conventions and employee appreciation. This product can be customized with your company logo, graphics of your choice. @ orders@woodartsuniverse.com to get further details.